Olbrycht, Marek J. 2016. “Manpower Resources and Army Organisation in the Arsakid Empire“. Ancient Society 46, 291-338. As the territory of the Arsakid state (248 BC – AD 226) increased in size, the Parthians were able to expand their demographic and economic base. This led to an increase in the size and military might of the armed forces. 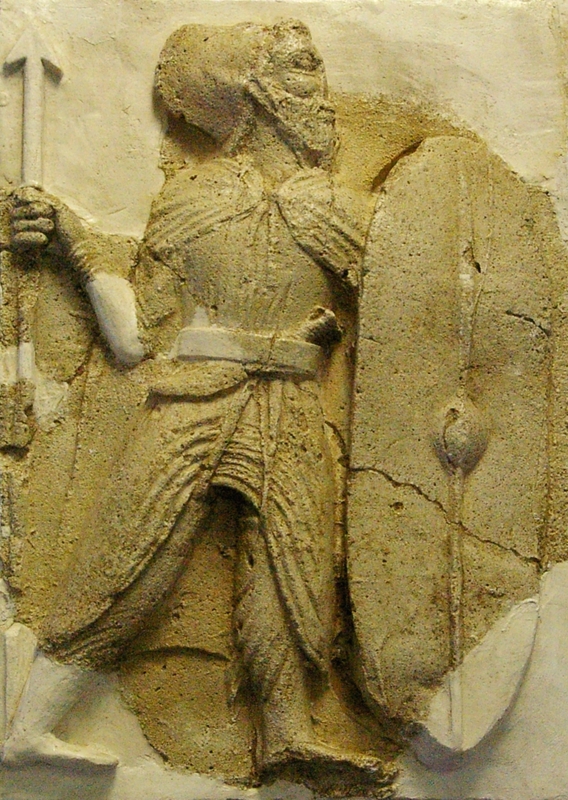 The military strength and effectiveness of the army were key factors in determining the Parthians’ political relations with their neighbours, especially the Seleukid empire, Rome, the Caucasus lands, the nomadic peoples of the Caspian – North Caucasus region, and the peoples of Central Asia. From the 1st century bc onward the Arsakids had a military potential of almost 300,000 soldiers. This mobilisation strength mirrors the size of the Arsakid armed forces in a defensive stance, including the royal forces, Parthian national army, garrisons, and mercenaries. As a number of units were not suitable for offensive operations, one may assume that the power of an offensive army might not have exceeded half of the total figure, i.e. about 140,000-150,000. This is slightly more than the figure of 120,000 soldiers which appears as the total for the largest of Arsakid armies.